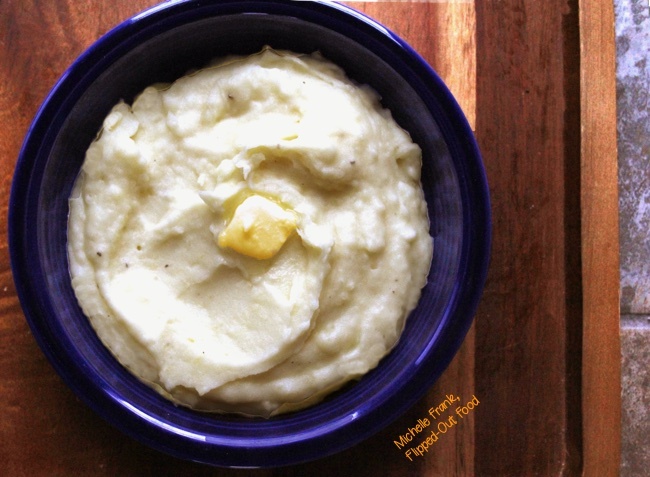 Perfect Meal-Prep Creamy Mashed Potatoes are great for busy weeknights or big events where you want to work ahead as much as possible. Peeling and pre-soaking ahead of time removes a lot of the hands-on work from go-time. 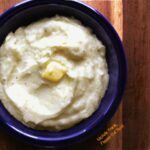 Perfect Meal-Prep Creamy Mashed Potatoes: my go-to mashed potato recipe for Thanksgiving and Christmas dinner. I use Yukon gold potatoes: although I’ve tried skin-on, new red potatoes before, it went over like a lead balloon with my crowd, all of whom like smooth potatoes. 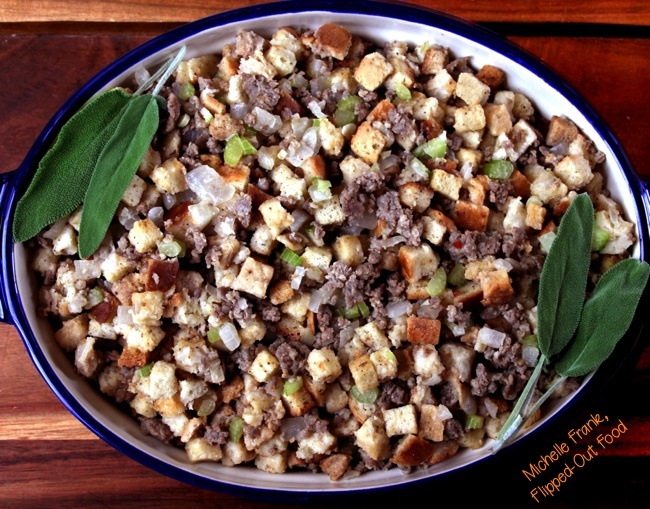 Simplicity is best for the MPs, because let’s face it: everyone wants to douse their mashed in your fabulous turkey gravy anyway, so why frou-frou them up with horseradish, cheese, or anything else that might clash with your masterpiece? The “meal prep” part of Perfect Meal-Prep Creamy Mashed Potatoes is this: I peel the potatoes in advance and do a pre-soak in lots of water to take out some of the starch that can otherwise make MPs too gummy. Guess what that means? Yep: you can peel the potatoes the day before. (See a theme here?) For big events like Thanksgiving or Christmas Dinner, I always go this route. Then I take them out of the fridge, drain them, and boil until soft. Thanksgiving and Christmas Dinner is the one time of year that I choose not to take the low-calorie route: S&P, plenty of butter, and milk go into the strained potatoes (I also sometimes use broth, heavy cream, sour cream, or any combination thereof). Although some fanatics will insist that a ricer is critical for proper mashing, I am just fine with the results I get with a regular old mixer. If you’re getting ready for a big turkey dinner with all the fixings, be sure to check out my recipe links below! 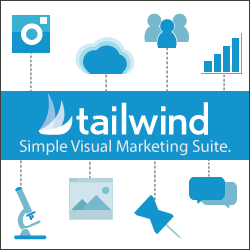 Have a wonderful holiday season! Creamy Mashed potatoes for a crowd, with peeling and soaking done in advance to take the hands-on work out of busy times. Peel the potatoes and cut into ~1" cubes. 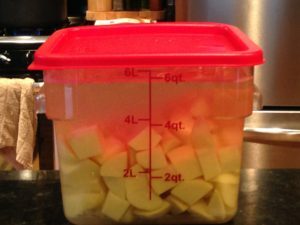 Cover the cubes with cold water by about 2 inches; refrigerate for at least 2 hours up to overnight. Drain the potatoes. In a large pot, cover the potatoes by 2 inches with cold water. Add 2 large pinches of salt. Bring to a boil and reduce heat. Simmer until a knife slips in and out of your potato slices without any resistance (15–20 min). Drain. Put the potatoes back into the pot and add the butter. Stir to combine. Add a pinch of salt and several grinds of pepper. Add the milk, heavy cream, and sour cream (if using—it adds extra creaminess). 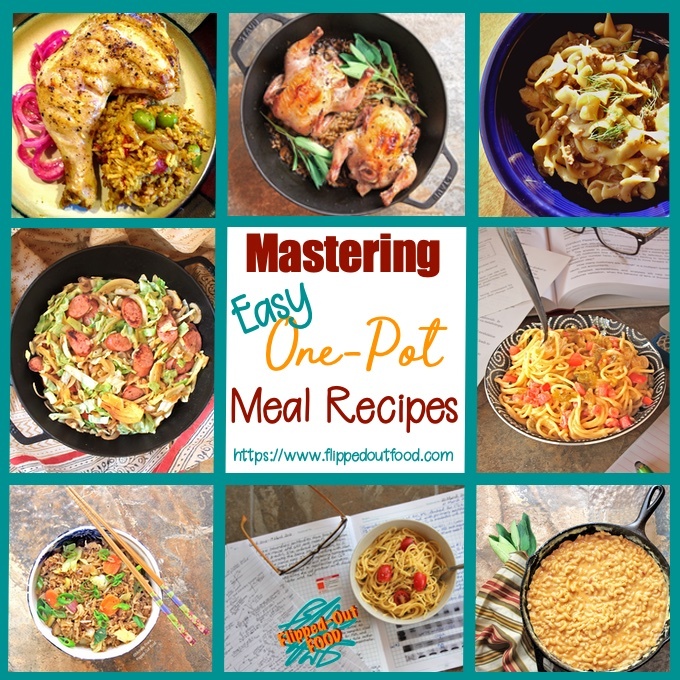 Stir to combine, then mash to desired consistency with a hand mixer or potato masher. Taste for seasoning and adjust as necessary. 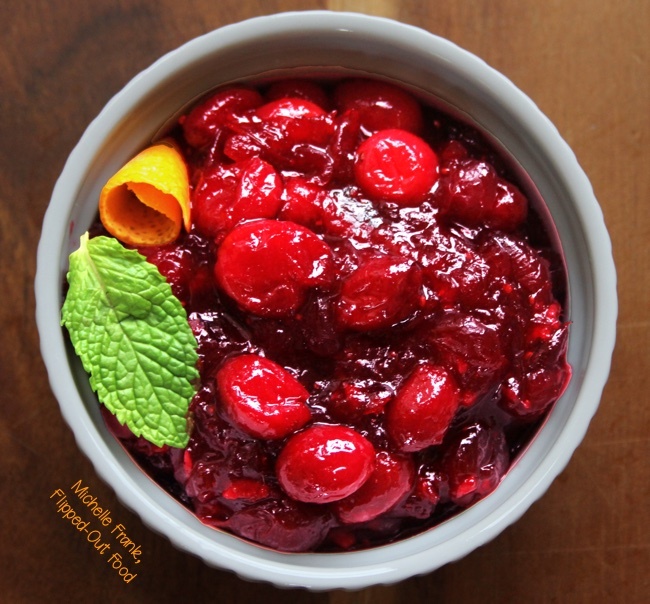 Orange-Ginger-Spice Cranberry Sauce: this sauce will make you wonder why you ever ate store-bought. A fantastic condiment for Thanksgiving turkey and more! 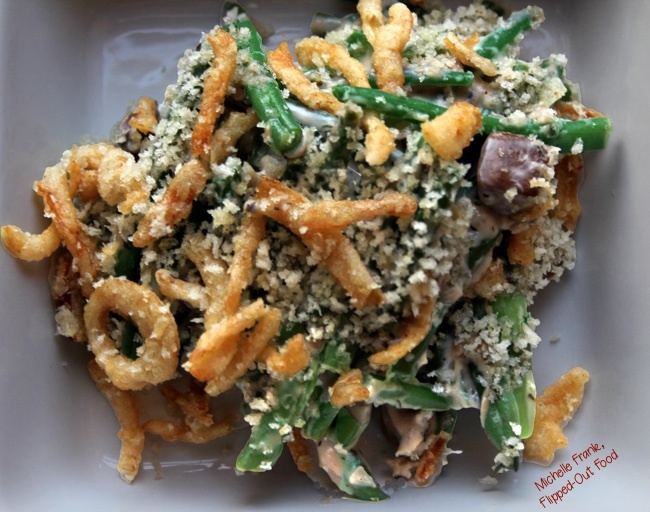 It’s easy to make a few days in advance and keep in the refrigerator until your big event. 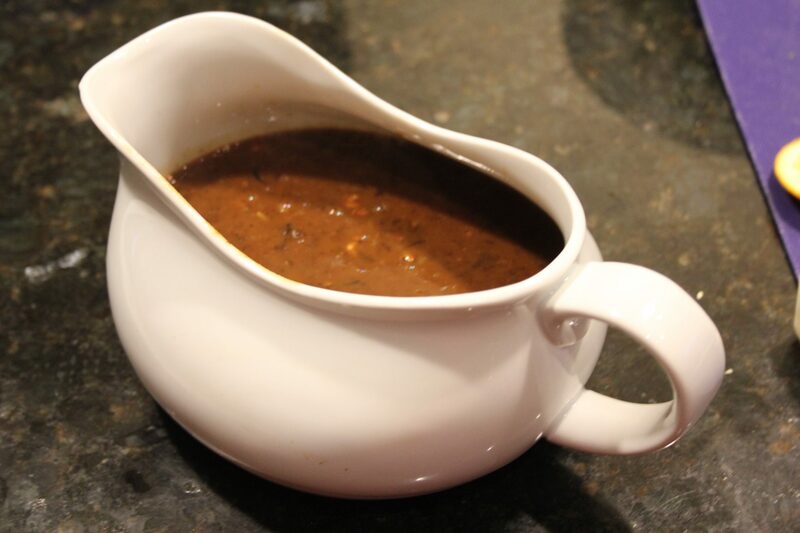 Easy-Peasy Turkey Gravy: a low-fuss, no-frills, lower-stress method for delivering fantastic gravy for a crowd on Thanksgiving or Christmas. 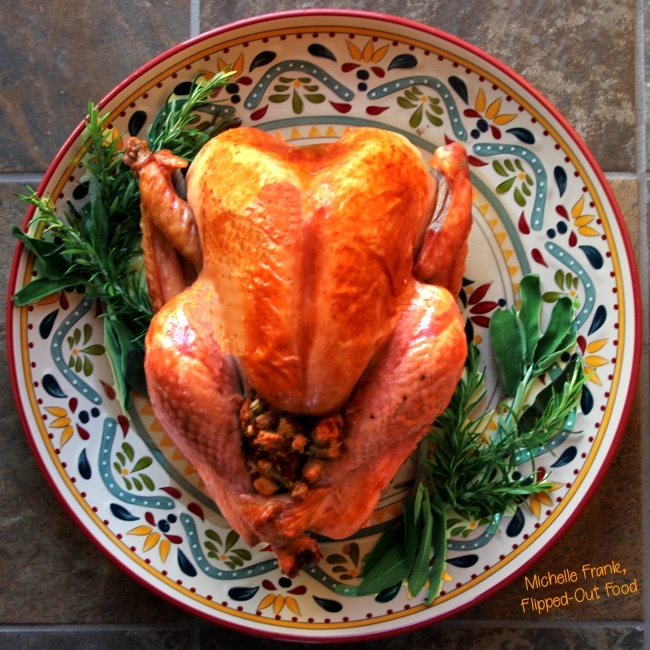 It starts with a flavorful turkey stock and delicious pan drippings from your roasted turkey. 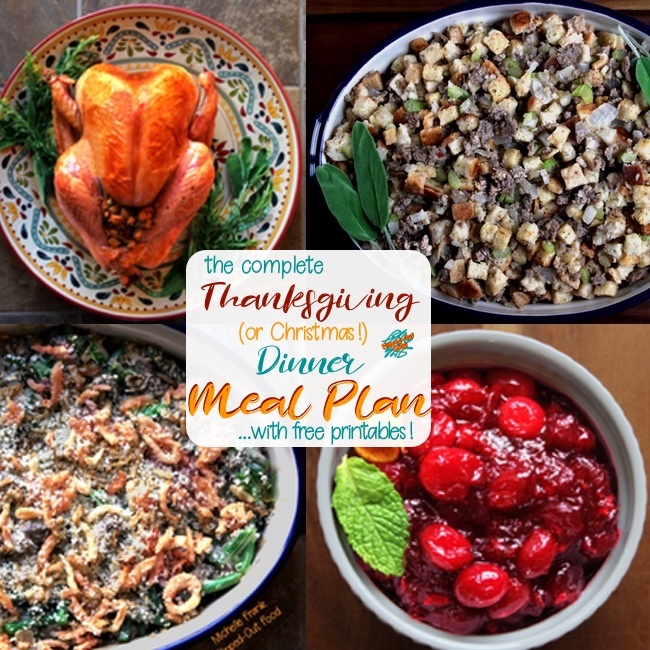 The Complete Thanksgiving (or Christmas) Dinner Meal Plan: a complete Thanksgiving Dinner Meal Plan for delivering a classic Thanksgiving (or Christmas!) Dinner. Complete with printable shopping list and game plan.